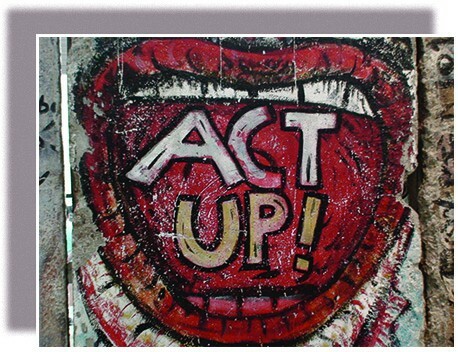 “Act up!” might be called the unofficial slogan of the 1980s. Numerous groups were concerned by what they considered disturbing social, cultural, and political trends in the United States and lobbied for their vision of what the nation should be. Conservative politicians cut taxes for the wealthy and shrank programs for the poor, while conservative Christians blamed the legalization of abortion and the increased visibility of gays and lesbians for weakening the American family. When the U.S. Centers for Disease Control first recognized the Acquired Immune Deficiency Syndrome (AIDS) in 1981, the Religious Right regarded it as a plague sent by God to punish homosexual men for their “unnatural” behavior. Politicians, many of whom relied on religious conservatives for their votes, largely ignored the AIDS epidemic. In response, gay men and women formed organizations such as ACT UP to draw attention to their cause.